A colonoscopy is the best way to prevent colon cancer. It’s the only method that allows your doctor to screen the entire colon for signs of cancer and remove pre-cancerous polyps in one procedure. If you’re over 50, have a family history of cancer or notice changes in bowel habits lasting more than a few weeks, it’s time to get screened. 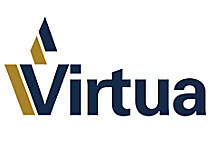 To schedule with an experienced Virtua specialist, call 833-822-6566 or visit Virtua.org/Colon. Don’t put off this life-saving screening!